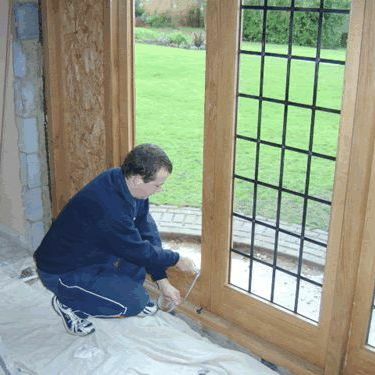 Craftsman Glass Limited is a specialist glass and glazing company. As well as all the usual services you would expect from a glass company, we are also manufacturers of hand made traditional leaded lights and stained glass. Craftsman Glass is family run, and we pride ourselves in the first class service we provide, we offer free estimates, and friendly advice. All our vans are marked up with the company logo and our staff are well presented, with years of expertise in the glass trade. Please feel free to browse through our stained glass gallery, by clicking on the links above. If you need help or advise on any glass or glazing projects please feel free to contact us via our contact pages. Over 35 years experience, our independently-owned company uses purpose built, fully equipped facilities to carry out all glass work. 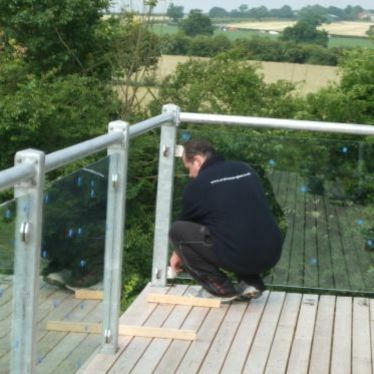 We only employ the most qualified tradesmen in order to ensure that all of our products are of the highest quality. We manufacture Traditional Leaded Lights and stained glass and are one of the leading suppliers of hand made Leaded Lights in East Anglia. Craftsman Glass Limited specialise in bespoke stained glass, leaded lights, and a wide range of other glass products. We offer traditional and contemporary stained glass designs in addition to designing, restoring and manufacturing leaded light windows. If you give us your size requirements, we can provide you with a FREE estimate and helpful advice. We are based between between Colchester & Chelmsford. Craftsman Glass stock all types of glass which can be cut to order. Craftsman Glass offer a full glass and glazing service, we can replace those old misted up double glazed sealed units into your existing frames and bring a fresh new look to your home at a fraction of the cost of new windows. Contact us today for further information..